When you own or manage a commercial building and the time has come to replace its roof, turn to the commercial roofing professionals at Axe Roofing. We do things ethically and honestly, and we are always transparent with what we’re doing. We take a no-nonsense approach to our roofing replacement services, ensuring the process is efficient and seamless. Throughout our years in business, we’ve served countless commercial customers and we proudly maintain an A+ rating with the Better Business Bureau, a testament to our high-level of customer service. And we don’t just source our roofing materials from anywhere; we take great care in only offering systems manufactured by leading names in the industry to ensure high quality. 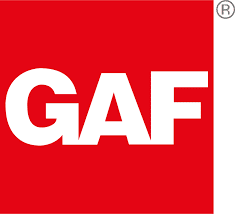 We’re authorized dealers for GAF®, Owens Corning®, and CertainTeed roofing systems, which means the roofs we install come backed by industry-leading warranties, in addition to our five-year labor warranty. If you would like more information on the commercial roof replacement services we provide in Denver and throughout the surrounding area, contact Axe Roofing today. When you call, be sure to ask about the financing options we have available for projects that qualify.